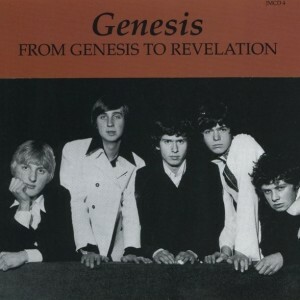 Before Genesis became a stagey prog act and later an eighties pop factory, they released this album of lightweight psychedelic pop, very British and kind of pompous, like early Moody Blues or an album of Penny Lanes. The problem is that the production is completely flat and lifeless, so that even the occasionally interesting arrangements are squashed in the mix. And the songs are pretty bad, too. I’m listening to it right now. It’s not good. I’ve owned this album for years and there are songs where I’ve never made it past the first thirty seconds or so. Oh, this one. Skip. It’s that kind of album. Some of it reminds me of the worst of the Stones’ Satanic Majesties, without the druggy darkness that made that album kind of cool. This album is anti-cool. I love “The Conqueror” though – that song would have made a great 45 single. Just forget this album exists and jump on the Genesis train when they start writing songs about supper and lawnmowers and Pete starts dressing up as giant sunflower.